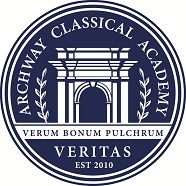 We are pleased to offer tours for those interested in joining Archway Classical Academy | Veritas. Tours will be led by our Assistant Headmaster and will last approximately 1 hour. Tours will include an opportunity to view classrooms (while in instruction), learn more about our curriculum and will end with a question and answer session. Tours are designed for adults. Please make arrangements for young children. Directions to Facility: Between Thomas and Indian School Rd. Take 56th Street. Use the North entrance, follow the long driveway along the playground to the back parking lot. Proceed to the Archway Veritas entrance via the breezeway on the West side of the building. Entrance will not be permitted through Veritas Preparatory (small parking lot on 56th street). IF TOUR DATES ARE FULL, PLEASE CHECK BACK PERIODICALLY. PLEASE NOTE THAT IF NO TOURS ARE AVAILABLE PRIOR TO OPEN ENROLLMENT, YOU MAY APPLY FIRST AND THEN ATTEND A TOUR AFTER ENROLLING. We will switch our 5/2 tour slot for a 5/9 tour slot if anyone is interested. We are interested in an earlier tour date if any openings become available. We are interested in starting with your kindergarten program and moving into the elementary program. Please let me know if you have any cancellations for the earlier tours, we would like to take them many thanks.